This November will mark 50 years since the assassination of President John F. Kennedy. With this tragic event came the end of â€œCamelotâ€ and the innocence carried over the postwar America in the 1950s. A turbulent decade would parallel the life of former First Lady Jaqueline Kennedy. In the wake of the June 1968 assassination of her brother-in-law Robert Kennedy, she married Greek shipping magnate Aristotle Onassis and moved herself and her children to Greece. Upon Onassis’ death, she would return to the US, settle in New York City and reinvent herself once again, taking up a career in publishing. 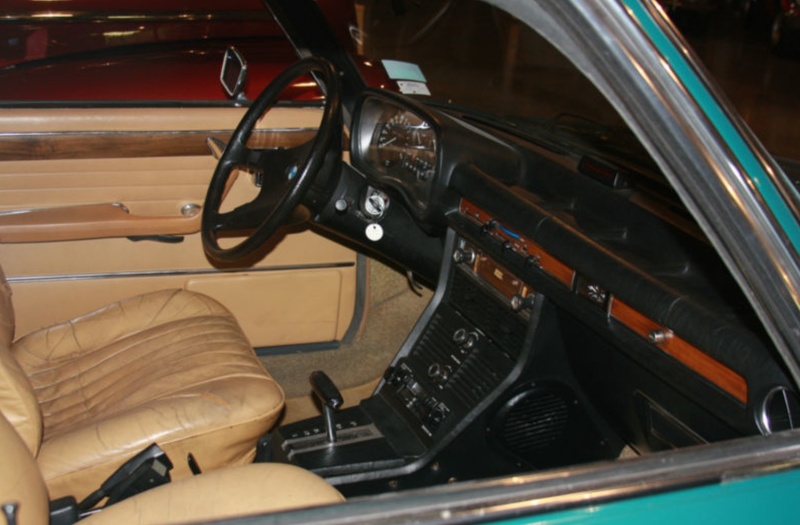 While residing in New York, she purchased a rather unusual car for the times, a 1974 BMW 3.0S Automatic. 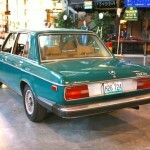 Unlike Mercedes-Benz, BMW was a relatively obscure brand. The 2002 had brought the company much needed success in the US market, but those shopping for larger sedans didnâ€™t exactly have the car with the Roundel badge on their mind. Then again, Mrs. Onassis wasnâ€™t your average consumer. She owned this car for almost 20 years, selling it to her neighbor two years before she passed away. Now her beloved BMW is up for sale once again and is sure to attract both Bimmerphiles and those wanting a piece of American history. 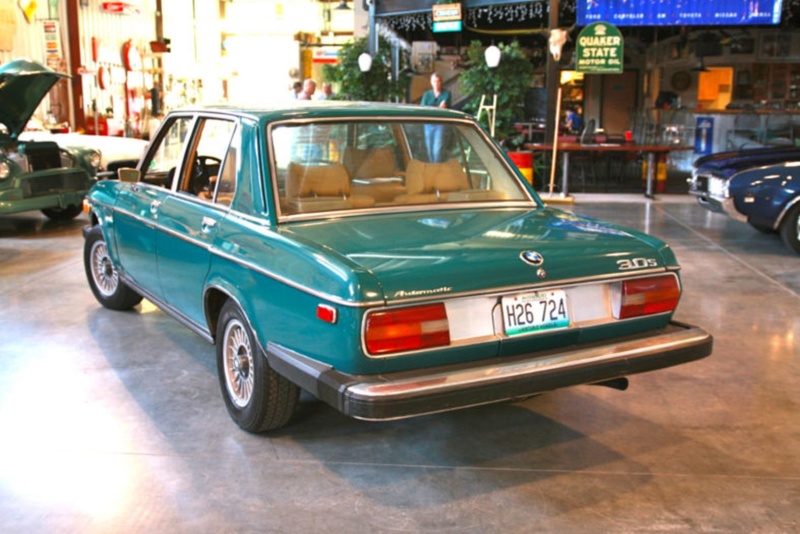 This 1974 BMW was purchased for Jacqueline Kennedy Onassis, and she personally owned and drove it. Also includes 4 copyrighted pictures of her driving it and her original title with her signature on it. 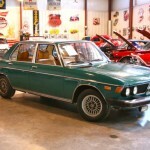 The car is a green BMW Barvaria 3.0S 4 Door Sedan equipped with automatic transmission, which Jackie Onassis drove for 18 years from August 20, 1974 date when she purchased the car from Martin Motors BMW on the upper east Side in New York until 1992 when she sold the car to her neighbor in Peapack. Mrs. Onassis bought her BMW new, while married to Onassis who purchased a country estate for them in the horse country of Peapack-Gladstone New Jersey. It was in this automobile that she would drive her children each weekend to Peapack to go riding and fox hunting or the Essex Hunt Club. During the week the car was garaged in a parking lot on 86th Street, but she occasionally used it to fulfill editorial commitments at Doubleday. As I was doing research on selling this car I came across a well written a fairly amusing article by Kelly Holsten, whom gave me permission to use some of his words here. Also I would like to include the link to his original article if you wish to read. You may have to copy and paste if it does not come up as a link. The car has been a historical joy to have in our shop, it has started many conversation on a wonderful lady whom many of us wish we would have had the opportunity to meet. You may not have ever had the chance to meet her but here is your chance to sit where she sat and hold that steering wheel just as she did and look out the same windshield she did. When I sit in the car for a few minuets a very intriguing feeling overwhelms me. Just to know that I and Jackie have been in the exact same place. So if you would ever want to have a true piece of history, here is your chance. 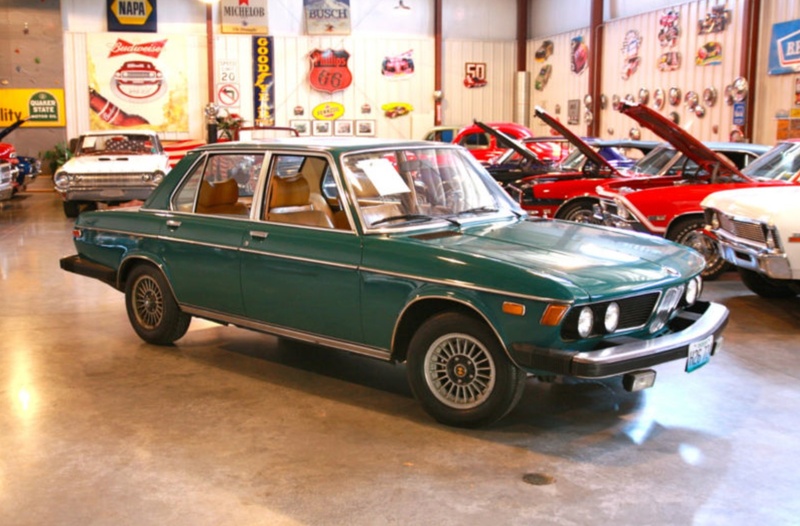 Passing Lane Motors LLC has been put in charge of marketing Jackie Oâ€™s car for a private collector who has had this car in his collection for many years and do to health reason must let go. The BMW comes with 4 copyrighted pictures of Jackie driving the car, I would love to include them but the photographer would not give use permission to use in the ad, and must be seen in person I cannot copy or send in emails of them, so please donâ€™t ask. Also included is the original title with Jackie Oâ€™s signature on it. Now a little about the car. The car starts easily and had been driven around our shop, we of course will not take the vehicle out on the streets do to the fact that it could not be replace. We have been ask by many a TV station and reality show to bring it to them, I just canâ€™t take the chance of losing such a piece of history. So I cannot state how the vehicle handles on the highway. The transmission shifts smoothly but I have not had the car over 50 MPH, it also has a slight leak, so we keep a floor pad under the vehicle. 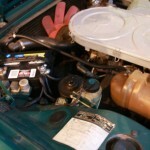 The power steering unit appears to be functioning properly. We have information stating that the engine was rebuilt at 40K but have no documentation to verify. 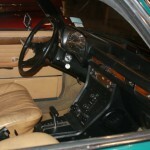 The interior appears to be all original, the interior for the most part is all in tact. 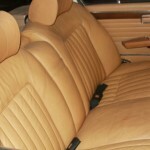 The drivers seat shows wear and some tears in the leather. 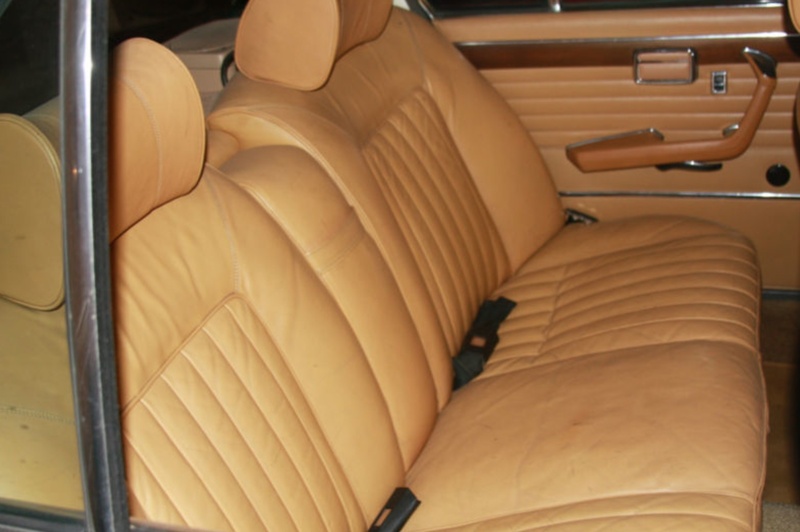 It is in unrestored condition would be up to the next owner to decide if they wanted to change it or leave the seats that Jackie personally sat in. 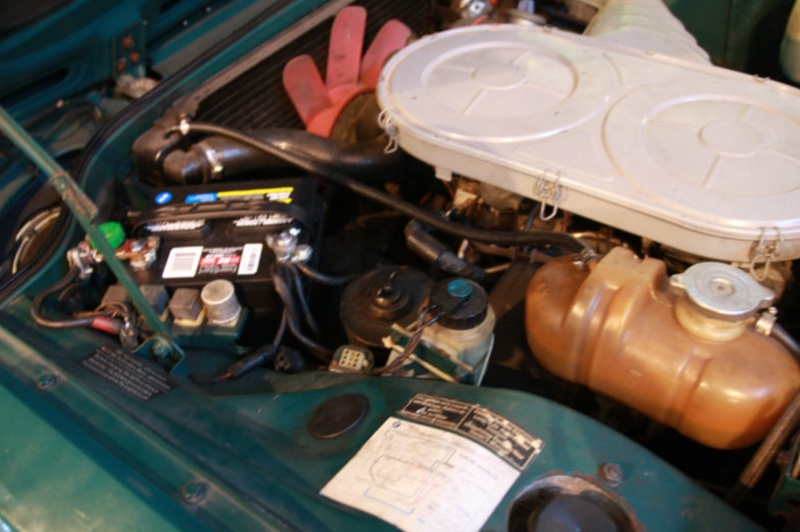 All gauges appear to be working properly, the Air should work with a fresh charge of freon, but not guaranteed. The car has been stated to have been repainted in itâ€™s original color, the paint still has a high degree of gloss on all panels. The paint is showing its age as is the underside of the vehicle. But letâ€™s face it, this car is being purchased for it true historical value. To have a very nice vehicle this car would need new paint and interior, Iâ€™m not sure but leaving the way Jackie had it seems like the way it should stay, but if you are the next owner that would be up to you. Here is a opportunity for some one to own a real piece of history, to have and hold a one of a kind vehicle. If you want a vintage BMW to cruise in this would not be the one for you. If you wanted a real piece of American history, a truly one of a kind collectors piece, please call us with any questions. 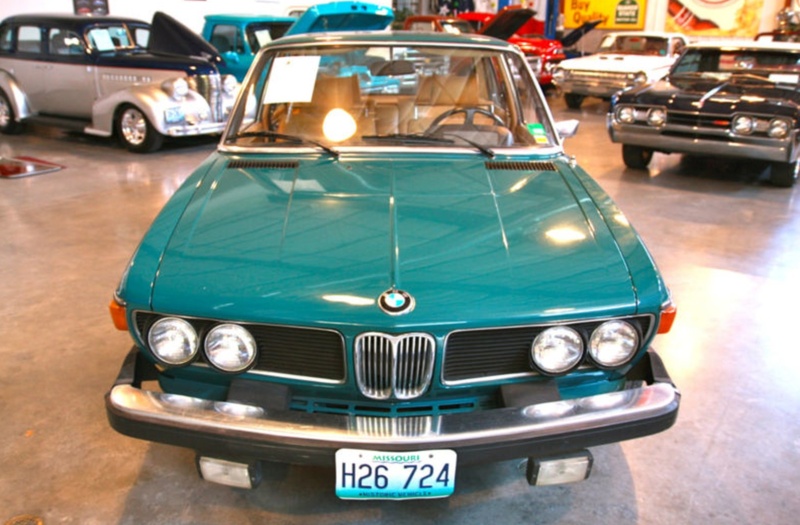 This same BMW was auctioned on eBay back in 2000 and sold for $57,100. The seller has the car listed on their site at $64,995. It’s unclear whether the reserve is set below that figure. It’s never easy putting a value on celebrity cars, as pricing them can be rather subjective. If itâ€™s the right car owned by a celebrity recognized as a car enthusiast, like Steve McQueenâ€™s Ferrari 250GT Lusso that sold not too long ago, you know the price will be through the roof. Ordinary cars, even if it is Jackie Oâ€™s BMW, well, thatâ€™s another story. Thatâ€™s especially true when itâ€™s a BMW sedan from the 1970s with an automatic gearbox. If this were a 4-speed manual 3.0 CS coupe, maybe weâ€™d raise a few eyebrows. Given what the car sold for back in 2000, I’m sure the seller is not going to let this car go cheap. But if I was bidding on it, I’d maybe stretch to the $35,000 mark. Then again, to a fan of the Kennedy family, it could be worth much more. Given the length of time Mrs. Onassis owned this car, it was surely an item she held in high esteem. To most BMW aficionados, however, it’s just another 3.0S. 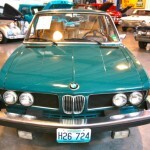 Tagged 1974, 3.0S, BMW, celebrity, E3, Jaqueline Kennedy Onassis, New Six. This vehicle’s claim to fame is that the widow of a former President bought the car 11 years after his death and drove it sparingly for the next 18 years. I am at a loss to see how this is a “piece of history.” I dare say 95% or more of the readers of this blog never knew of its existence before now. I am not the type of person to add value to something simply because a celebrity owned it and that doesn’t change with this offering either. This is an average, at best, unpopular 38 year old BMW that is in need of a lot of work.